Our resident music lover Katie went to check out American indie rockers Warpaint at the Albert Hall in Manchester on the 24th October. Here’s her review! The majestic surroundings of Manchester’s Albert Hall was the perfect setting for the celestial sounds of Warpaint, on a bitter November October night. I was lucky enough to be part of the crowd when the Californian four-piece played an impressive fourteen-song set and three song encore. Warpaint have built themselves a dedicated fan base since they first graced the dream pop scene with their debut album The Fool. This is a long time coming for Emily Kokal, Theresa Wayman and Jenny Lee Lindberg who have been with the band since its beginnings in 2004. Stella Mozgawa later joined, and the band signed for Rough Trade; shortly before embarking on their first tour. But they are more than just a ‘girl band’, with no defined frontwoman, lead guitarist or vocalist, they constantly swap and change, and keep fans guessing from song to song. The magic began with the alluring drum beat of Bees. The angelic melody entranced the crowd all the way to the instantly recognisable and spell-breaking guitars of Undertow. A sultry track from the album The Fool, it seemed to “light that fire” in the swaying crowd. More moody lyrical spells were cast, and not a single person there could help but feel the euphoria you get from hearing great music live. In technical skill, the band are on another level. Stella Mozgawa’s naturally flawless drumming and Jenny Lee Lindberg’s heart-breaking bass create a fluid onstage presence that the listener becomes a part of. In the climax of the gig, the hair-raising succession of Beetles, Elephants, Love Is To Die, New Song and Disco/Very became too much for the humble standing crowd to handle. If you had to pick one Warpaint song to try, listening to any of the previous five will not leave you disappointed. I was certainly not the only one that couldn’t help but break into flailing dance moves to New Song– a recent release that is equal measures of dreamy and pop. The richly layered and thoughtful song progression created a thrilling show and soul-stirring night of music. It was concluded by Krimson, a song from their third album that was arguably the epitome of the ethereal Warpaint experience. The only disappointment was not getting to hear Billie Holiday or Set Your Arms Down live; but with four masterpiece albums to boil down into one cohesive setlist, I can forgive them. 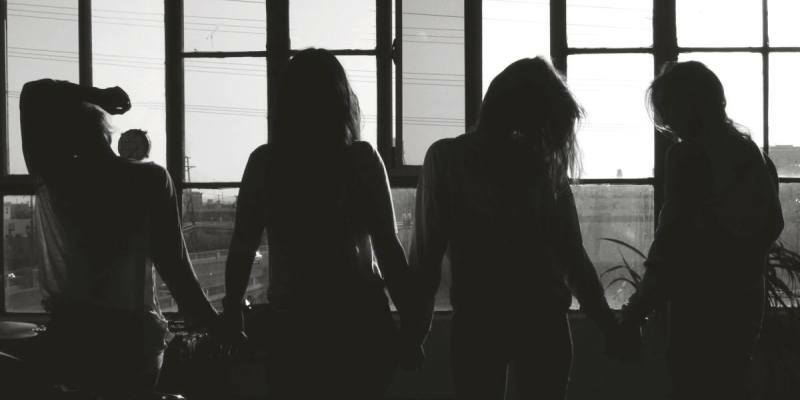 If you’re a lover of glittery guitar riffs and pensive lyricism Warpaint are definitely for you. The band have been likened to the Cocteau Twins and Siouxsie and the Banshees, but delicately brought into the 21st century. Heads Up, their latest album, is available now on the musicMagpie Store! Click here to check out the rest of Warpaint’s back catalogue!